Trophies2Go approached Meticulosity with a complex ecommerce site with the goal of upgrading to a Magento CMS while significantly improving SEO and SEM. 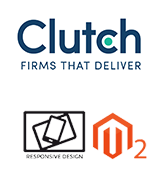 Trophies2Go is a complex Magento site maintained and developed by our certified Magento experts. Working with our SEO and SEM experts, Trophies2Go were able to optimize their site, improving traffic and conversions.